Jeannette Vilma Mims-Loeffel (NEE: Macejka), age 83 of Waldwick, New Jersey passed away February 9, 2019. Predeceased by loving husband Thomas Vernon Mims, loving daughters Diana Lynne Mims Dechert Gualdarrama and Jeannette Vilma Mims Davis. Beloved wife of Emil J. Loeffel. 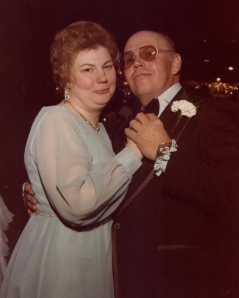 Most loving mother of Kenneth John Mims of Blakely, PA, Thomas Vernon Mims and wife Patricia of San Jose, CA, Dawn Marie Mims of Barryville, NY. Most loving brother John P. Macejka and wife Hilda (A true Sister) of Mineola, NY, most loving sister Maryann Logalbo of Bayport, NY. Most loving grandmother of 8 grandchildren Melissa, Kelly, Kristin, Jason, Kristopher, Thomas III, Heather and Caitlin. 13 Great grandchildren Kenneth, Connor, Ambrylee, Jacob, Isabella, Bobby, Natalie, Hunter, Jacob, Elasen (with God) Sophia, Sydney, Ava, and Reagen. Funeral Mass Thursday 10:00 AM at St. Luke’s RC Church, with interment in St. Luke’s Cemetery, both in Ho-Ho-Kus. Visiting Wednesday 4:00 – 8:00 PM at Feeney Funeral Home, Ridgewood. Donations to St. Jude’s Children’s Hospital, PO Box 50, Memphis, TN 38101 would be appreciated. Feeneyfuneralhome.com. Jeannette was born in Manhattan (NYC) NY. Attended St. Catherine of Genoa grammar school and St. Catherine's Academy in 1954. She was in the first graduating class in Pelham Parkway, NY, and spent 2 years at Ramapo College in 1986. Jeannette was the manager of the food department at Woolworths, Great Eastern as a sales clerk, worked at NY Telephone as an operator, and in their Dial Office. After 32 years, she retired from Caraustar in Clifton NJ (General Packaging of Waldwick) serving as Shop Steward for 5 years and 23 years as a Quality Control Manager. Jeannette has been an active member of St. Luke's R.C. Church since 1963, being involved in, but not limited to: Liturgy Committee, Parish Council, First Female greeter, CCD and RCIA teacher, cook and chaperone on youth retreats, Pre-Cana and parish events, Class Mother, Cub and Girl Scout Leader, Vice-President of the Solidity of Mary at St. Elizabeth's in NYC, and she worked in (MMAP)"God has been good to me throughout life and it is with joy and happiness I return to Him."